If your Chama has invested in stocks, you already know that lots of companies trade in the stock market in the Nairobi Stock Exchange from early morning and continues almost non-stop right until the final bell sounds on the Nairobi Stock Exchange on Friday afternoon. Successful investing requires patience and diligent research. It also requires knowing a few small details that may not be as obvious but are very important for achieving long-term returns. Stock prices move mainly because of financial news, rumors and market volatility. A company’s stock price may move dramatically around the time of quarterly earnings or other material announcements, such as launching a new product or warning about delays in customer orders. Rumors usually have a short-term effect on prices. The prices will move sharply at first because markets tend to shoot first and ask questions later, but prices usually stabilize if the rumors turn out to be false. If the rumors turn out to be true, however, the price moves may continue and even accelerate. Market volatility also affects prices, but can also present buying opportunities because quality stocks may become available at bargain prices. Markets tend to overreact frequently. It is easy to be very happy when markets are rising, and it is just as easy to drown in sadness when the markets are setting new lows. Smart investors learn to ignore these periodic market tantrums and focus on the underlying business fundamentals because that is what determines long-term stock prices. Changes in the country can affect both the economy and stock prices. For example, a rise in energy costs can lead to lower sales, lower profits and lower stock prices. An act of terrorism can also lead to a downturn in economic activity and a fall in stock prices. If a new government comes into power, it may decide to make new policies. Sometimes these changes can be seen as good for business, and sometimes not. They may lead to changes in inflation and interest rates, which in turn may affect stock prices. 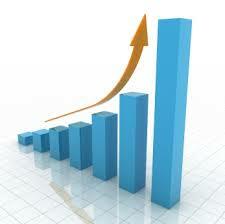 • Bull market – a strong stock market where stock prices are rising and investor confidence is growing. It’s often tied to economic recovery or an economic boom, as well as investor optimism. • Bear market – a weak market where stock prices are falling and investor confidence is fading. It often happens when an economy is in recession and unemployment is high, with rising prices. If it looks like the economy is going to expand, stock prices may rise. Investors may buy more stocks thinking they will see future profits and higher stock prices. If the economic outlook is uncertain, investors may reduce their buying or start selling. Inflation means higher consumer prices. This often slows sales and reduces profits. Higher prices will also often lead to higher interest rates. For example, the Central Bank may raise interest rates to slow down inflation. These changes will tend to bring down stock prices.